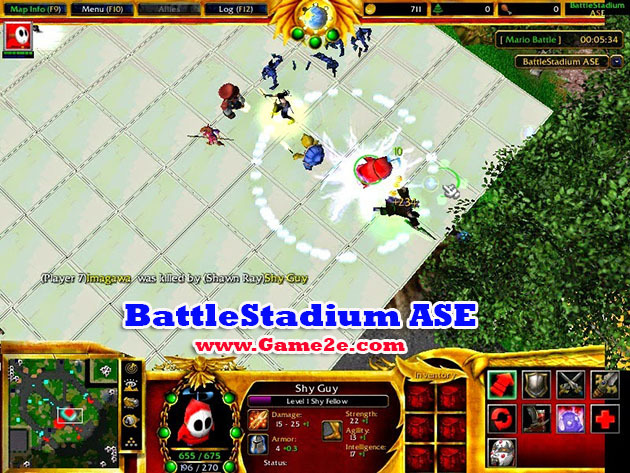 BattleStadium ASE a warcraft III modification project made by Aschenz-Kimutech. 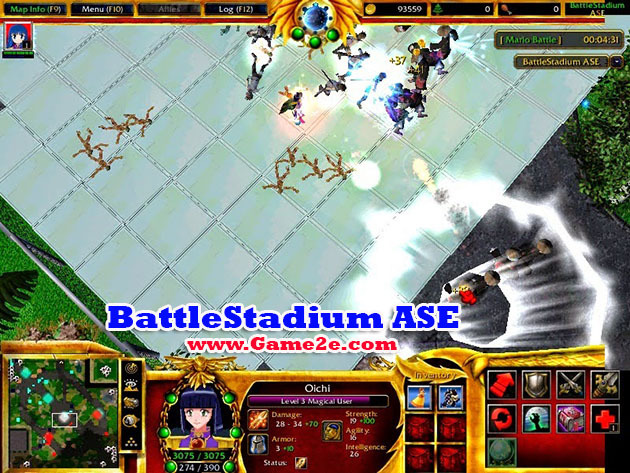 It was introduced in 2015 for the Warcraft III. It was uploaded in Epicwar and it was featured Super Mario Characters from the start ( Mario, Donkey Kong, Luigi, Peach, Yoshi, Diddy Kong, Toad, Boo and etc. ), with Animated Characters ( Kailin, Nouhime, Tsunade and etc. ), all of them created by Aschenz-Kimutech for Wacraft III and those who love Mario Games. 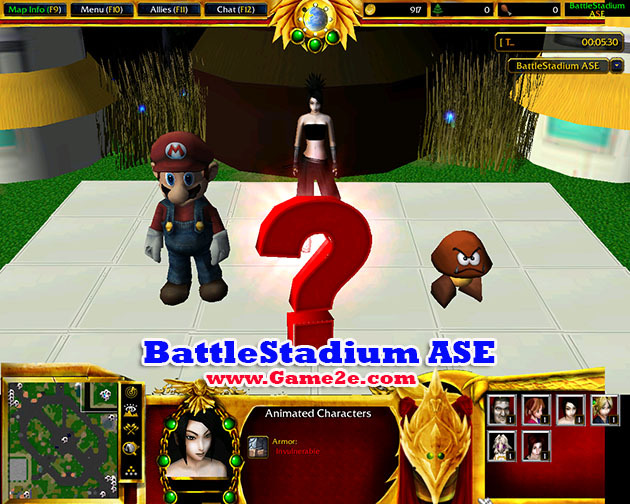 In BattleStadium ASE, up to eight - players can join and can play three mode ( Mario Battle, Hero Arena and Boss Battle ) with the specific rules of each match being predetermined by the players.